Do you need help with advertising to get traffic to your funnels? We have invested over $5 million in advertising across Google, Yahoo, Bing, YouTube, Linkedin, Instagram, Facebook Ads, and several other platforms to drive traffic and conversions for our clients and partners. If you need help with your advertising so you can get more traffic to your funnel- request a quote here. Phase One: Research & Preparation – We first start by researching your perfect customer and audience to target in on your best leads and buyers. We also properly place all necessary pixels so we can accurately track everything and knock out all technical integrations. Phase Two: Design & Copywriting – We strategically design images to capture the attention of your perfect audience and customers on Facebook. Our copywriting team artfully crafts psychologically driven copy to ensure the great response and engagement. 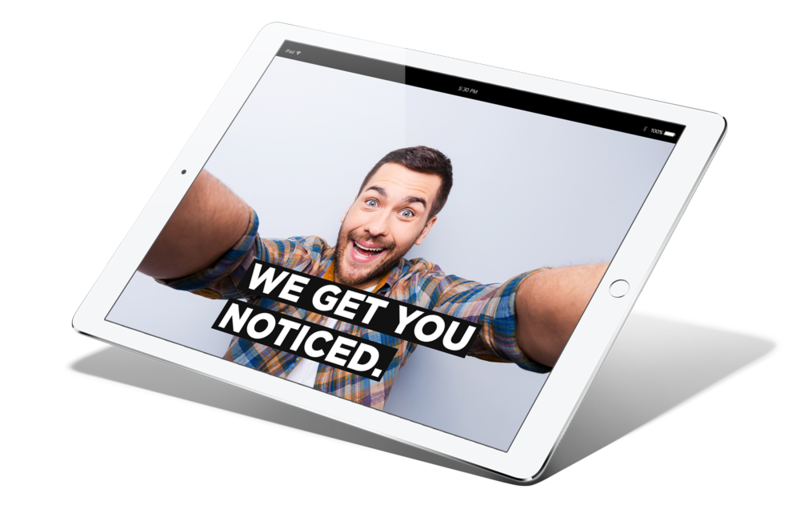 We focus on you being “instantly noticed” amongst the sea of advertisers on Facebook. Phase Three: Launch – We select a variety of ad types including, but not limited to, video ads, conversion ads, page like ads, website clicks, store visits, engagement ads, etc… whatever is the most ideal for your audience and for the purpose of your campaign. Each is unique on it’s own. We then launch those ads so you can be instantly seen on Facebook and Instagram too. Phase Four: Optimize – We constantly focus on optimizing your Facebook campaigns in order to achieve the greatest result for the most cost effective price. Optimization is vital when running and managing Facebook Ads and there’s an art and science to it. Phase Five: Scale – This is the part that 99% of Facebook Advertisers struggle with once they discover a Winning Ad. Our process allows for us to efficiently scale your ads while systematically keeping the cost down. Also, I’d like to personally invite you to join our FREE 5 Day Facebook Ads Challenge. 1. How to PROPERLY use the Facebook pixel (so Facebook can do all the hard work for you). 2. How to PROPERLY understand and use Facebook Audience Insights, Custom Audiences and LookaLike Audiences. (if you never used a lookalike audience you are MISSING OUT). 3. An in depth look at each type of ad you can use on Facebook and which one can help you generate the most leads and sales. 4. How to PROPERLY set up and ad so you can have the best results (and the secret we use to get Facebook optimizes the ads for us). 5. How to PROPERLY split-test and optimize so you can spend LESS and get MORE.